WHAT IS AN APPRAISER OF PERSONAL PROPERTY? ARE PERSONAL PROPERTY APPRAISERS REGULATED? Currently, the government regulates only real estate appraisers. Some government agencies may require personal property appraisers adhere to the Uniform Standards of Professional Appraisal Practice (USPAP). At this time, there are no immediate plans for federal licensing of personal property appraisers. The Uniform Standards of Professional Appraisal Practice (USPAP) is the Congressionally authorized ethical and performance standards for the appraisal profession in the United States. USPAP was adopted by the US Congress in 1989, and contains standards for all types of appraisal services, including real estate, personal property, business, and mass appraisal. USPAP is updated every two years to provide appraisers with information they need to deliver unbiased and thoughtful opinions of value. WHY ARE APPRAISAL REPORTS REQUIRED? Owners of fine and decorative art and antiques may want to obtain an independent opinion of value with descriptions of their appraised property included in the report. Clients may need values for items such as paintings, photographs, prints, maps, sculpture, gems and jewelry, furniture, rugs and carpets, ceramics, china, silver and silver-plate, metalware, lamps, candelabra, glassware, textiles, objet d’art (miscellaneous items), sports collectibles or memorabilia, antiques and rare coins, for insurance coverage. 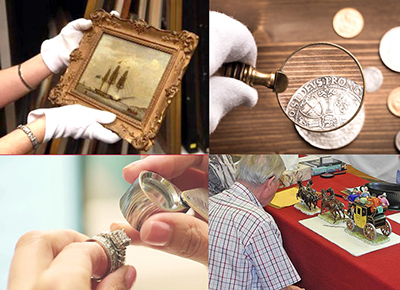 Clients who own or manage such objects—including individual collectors, estate executors, advisors, institutions, galleries, insurance companies, lending institutions, and attorneys—should engage a professional personal property appraiser with expertise in collectible property. A credible appraisal report clearly identifies the objects appraised; the scope of work performed by the appraiser; the client and other intended users; and the intended use of the report. The appraisal report must also include the definition of value (e.g., fair market or replacement value), the effective date, and the subject object’s relevant characteristics. The data and analysis required to support the opinion of value must be effectively communicated. There is no single standard appraisal report form, format, or style. Regardless of the type of appraisal report used, all reports must contain sufficient information to be credible and to enable the intended user to properly understand the conclusions. A detailed description of the item or items (may include photographs). Methodology, analysis, and data used to provide a value conclusion and the value rationale. 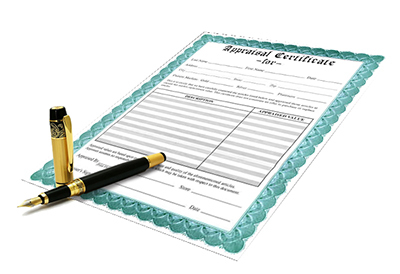 A signed certification that states the appraiser is not biased and does not have a present or prospective interest in the property. HOW DO I KNOW IF A PERSONAL PROPERTY APPRAISER IS QUALIFIED? The Appraisal Foundation’s Appraiser Qualifications Board (AQB) has developed minimum qualification criteria for personal property appraisers. This criteria includes minimums for education, experience, and continuing education. Users of appraisal services should ensure that appraisers they engage meet these minimum Criteria. ENI IS THE RIGHT APPRAISER FOR YOU ! Our appraisal work includes hundreds of personal property and collectible appraisal reports for estates, insurance companies, legal disputes and the IRS. We have been an expert witness in NY State Court and Federal Court, both civil and criminal, where I provided testimony as to the value of rare coins, precious metal and collectible items of art. We have worked in the Collectibles industry continuously since 1973. During that time we have handled in excess of $1 Billion in collectible coins and artwork. We attend most of the large trade shows throughout the US and are an active bidder at many public auctions. We have also worked within other areas of collectible items including fine watches and jewelry, oil paintings and contemporary art, antique firearms, antiquities, historical documents and sports collectibles.